Cancelling utilities and arranging for address changes. Have the necessary amount of boxes, tape and other packing necessities ready. Have booked and arranged your moving details with your movers. 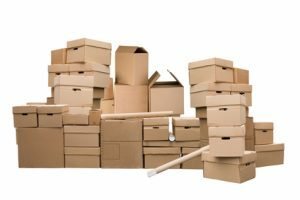 Realistically you have about 1 month (4 weeks) to organize your move, so make sure that you have done your work before this time. This will leave you with only the packing and moving portion. It is a good idea to create an inventory of your belongings in the early moving stages. By doing this, you will be able to see what items you want to pack, what items you may want to sell or donate and what items you want to get rid of. By decluttering your home, you will also have less to move which will save you time and money in the long run. Try to look at your move as a great way to declutter your life and start fresh in your new home. Include labeling your boxes with a list of each item in the box (don’t just label kitchen, instead give a detailed description of each item in the box – silverware, dishes, glasses etc.). Pack essentials into well labeled boxes (prescription medication, bathroom items and bed linens). These boxes should be the last to be packed and the first to be unpacked. Pre-pack all items that you do not use such as seasonal items, the garage, and attic or storage space. Being organized is a great way to keep the stress levels down and ensure a successful move. If you would like more great tips and tricks to stay organized during your move or need moving advice, please contact us today. We would love to help you stay on track and be a part of your next move.